Hosted by the community of Bracebridge, from February 27th to March 2nd 2014. However events will be taking place in Huntsville, Gravenhurst, Muskoka Lakes, Lake of Bays, Georgian Bay, Orillia and Midland. The Games are a highly recognized, multi-sport competition that showcases some of Ontario's best amateur athletes. Athletes from the Games could progress to National Championships, Canada Games, Pan Am Games, Commonwealth Games, Olympic Games or World Championships! In addition to strengthening sport development in Ontario, the Games also promote the benefits of sport and provide the opportunity for spectators to learn more about Ontario's best athletes. 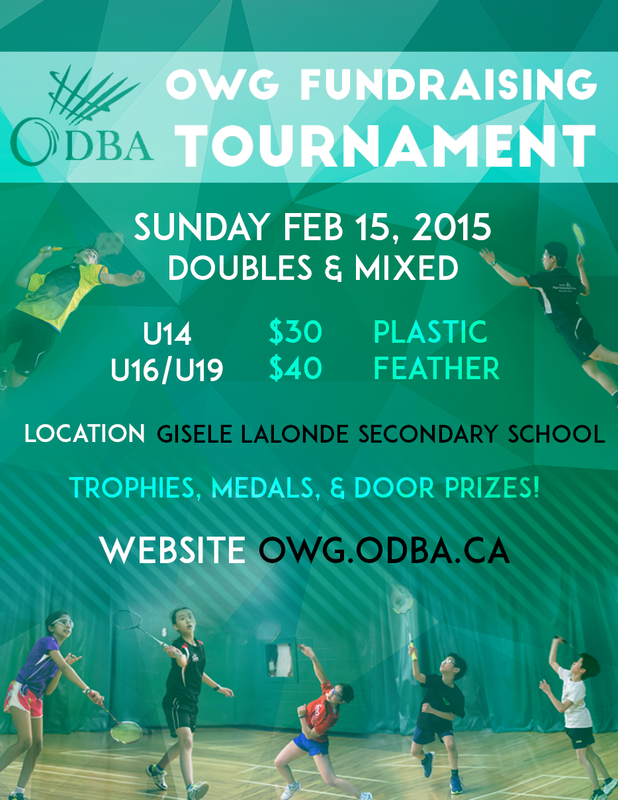 At the Ontario Winter Games, a team tournament takes place with the six Badminton Ontario Districts taking part. From pool play, teams move int a knock out round. Each tie includes five competitive disciplines: men's and women's singles, men's and women's doubles and mixed.